This week on Born To Ride, we take you to the Twilight Zone for the Born To Ride 1200th Episode Mega Bash! Where we meet up with Dr. Paul Bearer, the Master of Ceremony for the event! Plus we had Live Music by Tommy Roxx, and Nu Breed! Then we meet up with Ridin 813, to talk about their upcoming event at the Big Dogs Patio! And last but not least, its time for Bikini Babes and a Bike Show. Check out some of Florida's hottest babes as they strut their stuff for a chance to win $500! All this and more, here on Born To Ride TV. This week on Born To Ride, we head down to the beautiful city of Sarasota FL, for the 21st annual Thunder by the Bay Music & Motorcycle festival. This is a long going event, and Born to Ride has been there since the beginning. In this episode, we meet up with Lucy Nicandri, the woman behind Thunder by the Bay, and get an inside interview. We also check out some great burn out contests, and even a look at the amazing works of Kory Souza! Plus an interview with the man himself! All here, now, on Born To Ride! This week on Born To Ride we are off to Swap-O-Rama with Rob from R&R cycles. Where we find some incredible motorcycle parts & More! Then its the Shriner's Ride for a Childhood Cure! Also, we meet up with Flash, from Bikers Against Bullys, to see how the world of Bikers is helping children across the nation! This week on Born To Ride, we're sad to hear that Arlen Ness has Passed away. The man was a Titan in the world of motorcycle customization. And to celebrate his life, we look back into the archives to bring you some incredible interviews we've had with the Man himself! May you Rest in Peace Arlen! This week on Born to Ride, its Flash N Friends! Where he Interviews Ron Galletti, and we get an inside look at the world behind the scenes of Born to Ride! This Week on Born To Ride, Its Sons of Speed! With Billy Lane, as he brings back Board Track Racing! Then we meet with Wendy Lafroce of Stilettos on Steel, for the International Female Ride Day, May 4th! And last, but not Least, its the Rumble at the River, and we're hearing from some new contenders! This week, Born to Ride Celebrates Women! With Stilettos on Steel, and their Empowerment of Women Ride! Where we meet with Wendy Laforce, and learn about the upcoming International Women's Ride! Then its Rumble at the River 2! Where we get the lowdown and smack talk from the Wrestlers themselves! All this, and so much more, here, on Born To Ride! Its time to Celebrate! 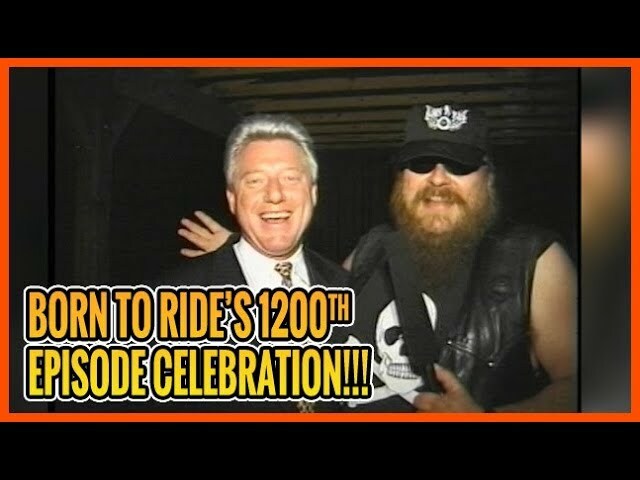 As Born To Ride Hits its 1200th Episode! And its time to realize that life isn't a Ball and Chain, as long as you're doing what you love! So, we go back into the Born To Ride Archives, and seek out some incredible interviews featured over the years! Including President Bill Clinton! Bo Diddley, Indian Larry, and so much more! This week on Born To Ride we take a look back at the past of Born To Ride! With Some old classics, including Spaceships, Hulk Hogan, and more! Then we're revisiting the Sons of Anarchy interview at the Born To Ride Day of the Dead Jam! And Finally, we are back at the Webster's Swap-O-Rama, with Rob! Where he finds a complete Twin engine! As well as finding Liquid Gold! This Week on Born To Ride, its Jason Mamoa! 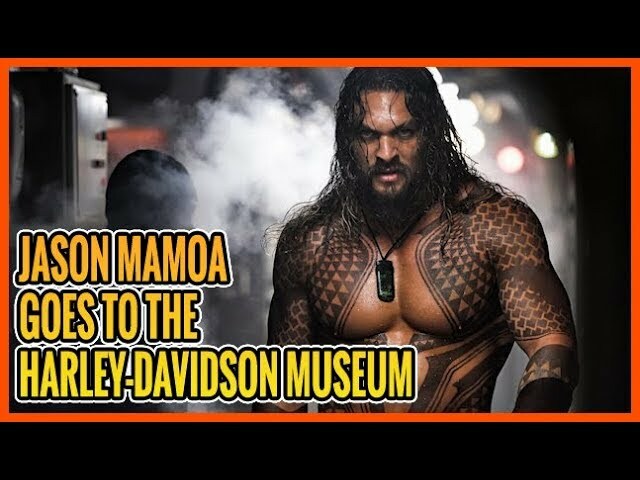 Where he visits the Harley-Davidson Museum! Then we're off to see some incredible videos of insane Biker Skills! Jumps, and one wheel balancing galore! 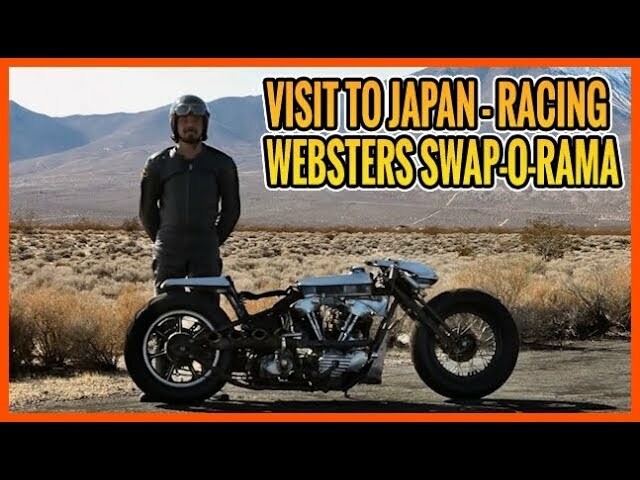 And finally, we meet back up with Rob, at the Webster's Swaporama, where he finds some rare bikes, and gives some tips and tricks to find some amazing parts! All this and more, on Born To Ride TV! This week on Born To Ride, we keep explore the World even further, with a visit to Japan, to learn about an Incredible story about Shinya Kimura! Then we're off to the Races! With some incredibly footage of Dirt Racing, Flat Track Racing, and incredible Stunts! And last, but not least, we're off to the Webster's Market Swap-O-Rama! Where we meet with Paul, the Manager, and see some of the incredible stuff you can find there. And of course, Born To Ride always wishes to highlight great causes, so we have an exclusive interview with the people of the Shriners Hospitals for Children, to discuss their upcoming March 3rd Ride, the Cruise for a Childhood Cure. All this and more, Here, on Born To Ride! This week on Born To Ride we go back into the archives of Harley-Davidson and look at some incredible footage gathered over the years. Then we're off to talk with Jim Preacher, and Bill Church about the Pinellas Park Bikefest, and see what this amazing event is going to have in store for everyone! Then, we head over to Taiwan, to relive a true story about the brotherhood of Motorcycles.